In April 2019, Mickey’s PhilharMagic will come to life at in the Sunset Showcase Theater at Disney California Adventure Park. 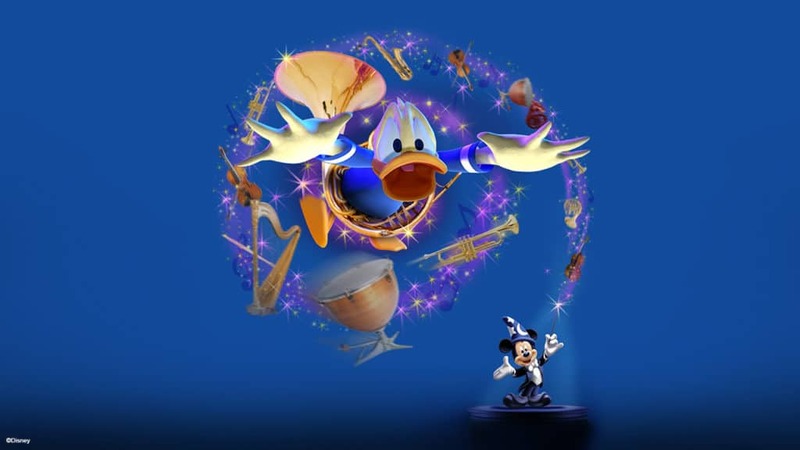 Mickey’s PhilharMagic is a 10-minute long show featuring 3D effects, scents, and water as well as starring Donald Duck, Mickey Mouse, and a number of other Disney animated characters. Mickey’s PhilharMagic can currently be experienced at Walt Disney World’s Magic Kingdom, Hong Kong Disneyland, Tokyo Disneyland and since 2018 also at Disneyland Paris.